Gettysburg Licensed Battlefield Guide Andie Custer is the host for this series on South Cavalry Field. 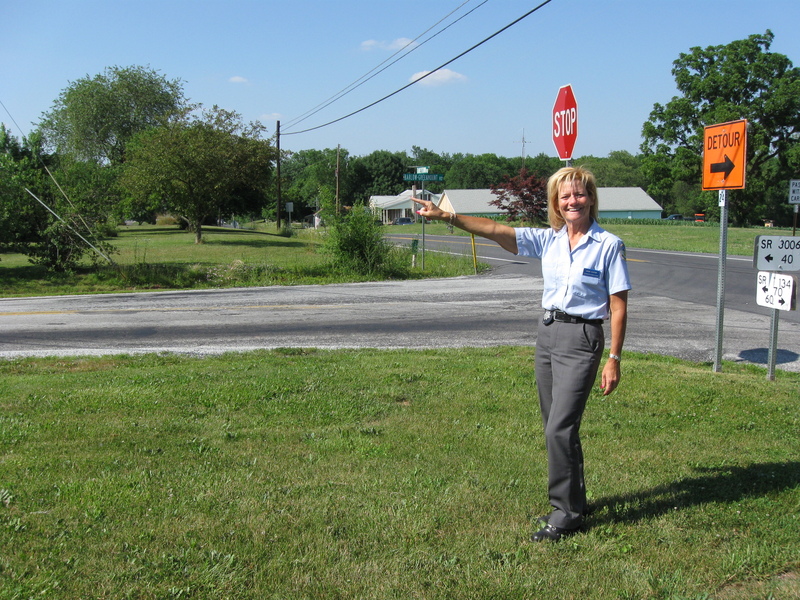 She is standing at the junction of the Taneytown Road (on the right) and Barlow-Greenmount Road, which runs from left to right. Brigadier General Elon Farnsworth’s Cavalry Brigade went in the direction that Andie is pointing on the morning of July 3, 1863. This view was taken facing north at approximately 5:00 PM on Friday, June 18, 2010. 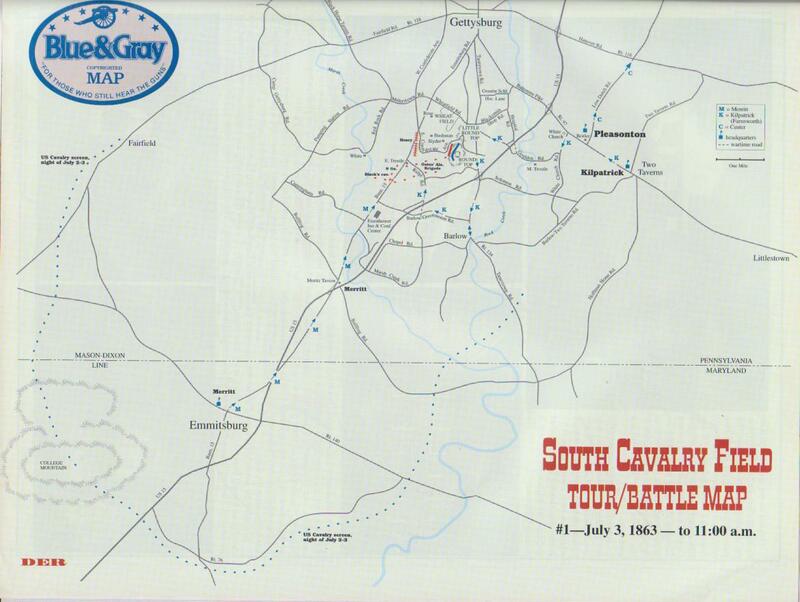 In today’s South Cavalry Field post, Gettysburg Licensed Battlefield Guide Andie Custer shows us how Farnsworth’s Brigade left the Taneytown Road on what is now the Barlow-Greenmount Road, and turned north on Ridge Road. This map shows us the locations taken of the videos for this South Cavalry Field series. Videos #1-#5 were shown in our previous posts. Video #6 was taken at the junction of White Church Road and Goulden Road. Video #7 was taken on the Goulden-Sachs Road where it crosses modern US Highway 15. Video #8 was taken where the Taneytown Road crosses Rock Creek. Video #9 was taken near the junction of the Taneytown Road and the Barlow-Greenmount Road. 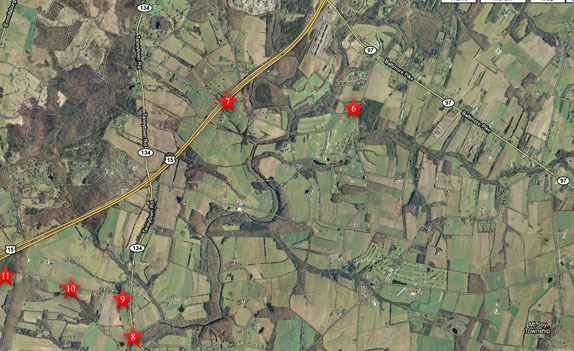 Video #10 was taken on the Barlow-Greenmount road approximately half way between the Taneytown Road and Ridge Road. Video #11 was taken where the Barlow-Greenmount Road intersects Ridge Road. This map was created facing north at approximately 12:00 PM on Monday, June 21, 2010. 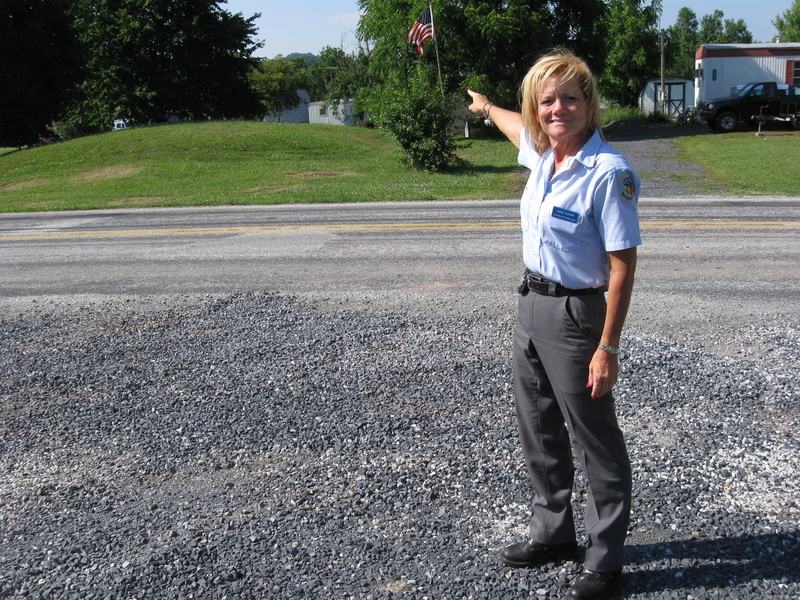 Gettysburg Licensed Battlefield Guide Andie Custer is standing on the Barlow-Greenmount Road near its junction with the Taneytown Road. Andie is pointing to Big Round Top, which Farnsworth’s Cavalry always used as a landmark to know where the left of the Army of the Potomac was located on July 3, 1863. This view was taken facing northwest at approximately 5:00 PM on Friday, June 18, 2010. In Video #9 (Videos #1- #8 were shown in our previous South Cavalry Field posts) Gettysburg Licensed Battlefield Guide Andie Custer shows where Brigadier General Elon J. Farnsworth’s Brigade left the Taneytown Road and turned west on what is now the Barlow-Greenmount Road on the morning of July 3, 1863. This view was taken facing northeast to north to northwest at approximately 5:00 PM on Friday, June 18, 2010. Licensed Battlefield Guide Andie Custer is standing on the Barlow-Greenmount Road. The woodline in the background is “the Ridge.” Farnsworth’s Brigade first met Confederate skirmishers near this woodline. Also in the right background are two cell phone towers. If one went from one the location of one cell phone tower to the other, they would have used the Ridge Road in 1863. This view was taken facing west at approximately 5:00 PM on Friday, June 18, 2010. 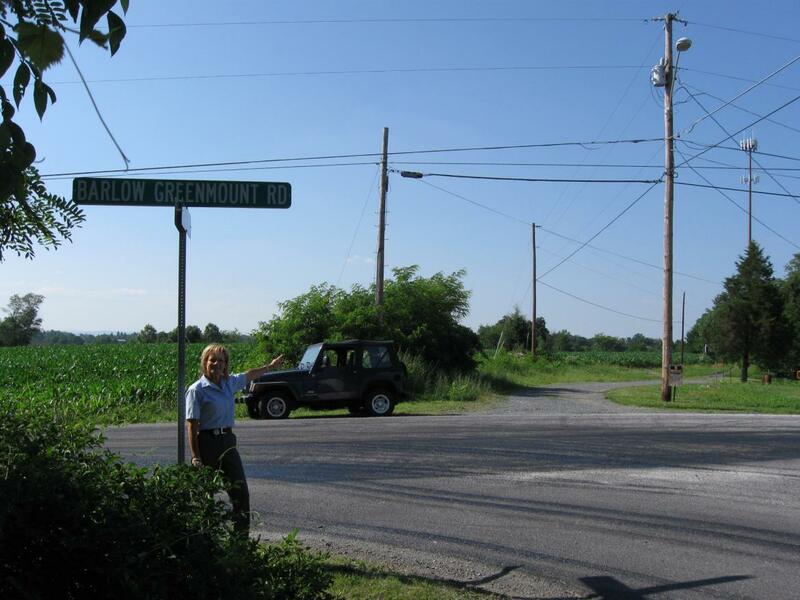 In Video #10 Licensed Battlefield Guide Andie Custer is standing south the the Barlow-Greenmount Road. She orients us again to Big Round Top, and shows us where Farnsworth’s Brigade first encountered Confederate skirmishers. This view was taken facing north to west to northwest at approximately 5:00 PM on Friday, June 18, 2010. Andie Custer is standing on the north side of the Barlow-Greenmount Road where it intersects Ridge Road (Ridge Road runs right to left here). 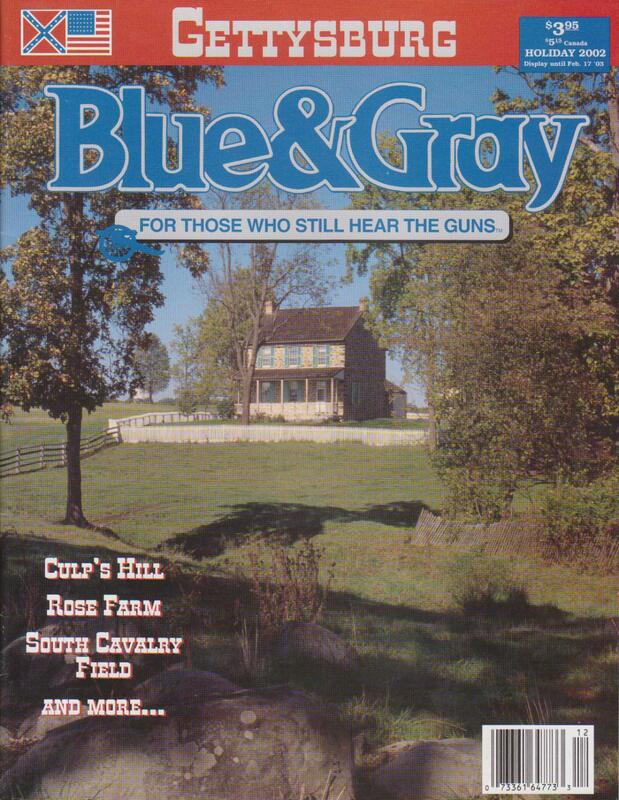 Farnsworth’s cavalrymen approached “the Ridge,” upon which Andie is standing, from the background. This view was taken facing east at approximately 5:00 PM on Friday, June 18, 1863. In Video #11 Andie Custer is standing on “the Ridge” at the intersection of the Barlow-Greenmount Road and Ridge Road. She explains the direction that Farnworth’s Cavalry took as they pursued Confederate skirmishers back to the Confederate battleline. She also shows us the route that we must take to follow them today. This view was taken facing east to north to west at approximately 5:00 PM on Friday, June 18, 2010. 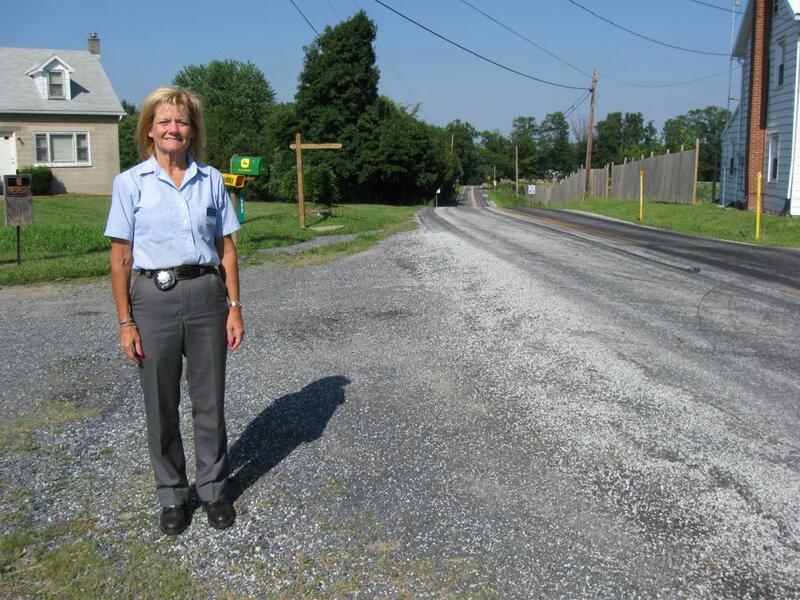 Andie Custer is still standing on “the Ridge” at the intersection of the Barlow-Greenmount Road (right to left) and Ridge Road which on the north side of the Barlow-Greenmount Road is now a gravel path. Farnsworth’s cavalrymen approached “the Ridge,” upon which Andie is standing, from the right (east) and turned right (north, away from the camera) in the area of the Ridge Road. The cell phone tower on the south side of modern US 15 is in the right background. This view was taken facing north at approximately 5:00 PM on Friday, June 18, 1863.